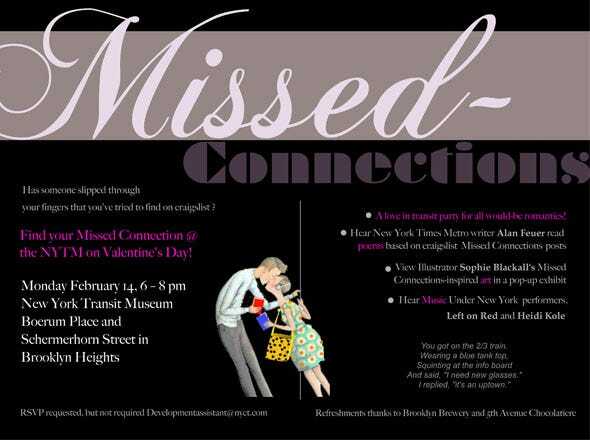 How romantic: the MTA is hosting a Craigslist-style “Missed Connection” party on Valentine’s Day. It’s at 6-8 PM at the MTA-owned Transit Museum. More details below. Bonus: There will be a poetic reading by Alan Feuer, who will read works inspired by the Craigslist “Missed Connection” section.